Officially created in 1871, the United States Lifesaving Service was established to save the lives of both shipwrecked passengers and mariners. By 1874, stations were established from the coast of Maine, as far west as Texas and eventually the Great Lakes. Stations consisted of three different categories: lifeboat, lifesaving and refuge, which by 1900 were manned full-time. 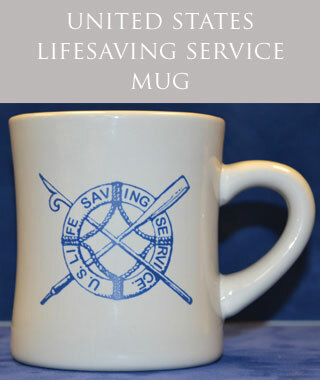 The United States Lifesaving Service merged with the Revenue Cutter Service in 1915 to form the United States Coast Guard.